One of the first questions we ask our clients when we are shopping for a home is “Do you prefer an HOA or NO HOA?” The line between the two is dark and heavy, but many people are not fully aware of the differences. Buying a Home is the biggest investment of our lives. It is critical to be informed and make educated decisions upfront in order to save ourselves from regret, later. What is an HOA? A Homeowners Association is a non-profit association that manages a Planned Unit Development (PUD). Unit owners pay monthly or annual dues to the association. The collected dues are applied toward the maintenance of the common areas or community property. The HOA will also provide and hold unit owners reliable to a set of Bylaws, Covenants, & Restrictions. The purpose of an HOA is to help maintain a certain consistency, conformity, capital improvements, and conveniences for the neighborhood, with the intent of protecting property values. Maintains and pays for the upkeep of common areas, such as swimming pools, tennis courts, playgrounds, public gardens, golf courses, and clubhouses. Without an HOA you likely won't have these amenities in your neighborhood. May provide services such as driveway snow removal or lawn cutting for each residence, ensuring a clean, well-kept neighborhood at all times. You will not have to worry about hiring someone or taking care of these services yourself. It can free up your time and can benefit the elderly. Mediates disputes between residents. If there is a problem with your neighbor, the HOA should be able to help resolve it quickly and easily with the least animosity posible, as it was the HOA making the final decision, not a complaining neighbor. Helps maintain or raise property values with standardized curb appeal, such as keeping garage doors closed, no cars left in driveways for longer than certain periods of time, no wild or artsy paint colors, no signs in front yards, etc. Hosts annual parties, such as block parties and family nights, which helps build camaraderie in the neighborhood. It can almost feel as if “Big Brother” is always watching you to see if your grass is mowed to the right level, if you planted the right types of flowers in your yard, or don’t have a pet that is oversized or of the wrong breed. Homeowners looking to rent out or sell their residences may need to have the new potential occupant screened and approved by the HOA board, thus hindering your ability to move on within your own time frame. The HOA can even regulate how much you charge for rent, how long of a period you rent, and what days or times of the year the occupants can move in. The dues you owe are an added expense for you to consider when factoring how much home you can afford. The dues will typically increase over the years, without much warning—this is something that you should budget for in advance. An HOA can put a lien on your home or force a foreclosure on your property if you do not pay your dues within a set time frame. And if you fight them in court and lose, more than likely you’ll have to also cover the HOAs legal bill. Some HOAs are poorly managed, in part because board members tend to be volunteers with a paying day job or other personal obligations and there is only so much time they can dedicate to overseeing matters. For this reason a management company is usually hired to also help set and guide the rules, which some worry is giving over control of their properties/community to a company that is managing several others and thus has no personal tie to the community. 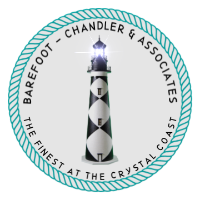 For more information about Homeowners Associations at the Crystal Coast, give us call at (252) 222-HOME.